More impressive than I thought it would be. Now we know where Henry VIII got all of his ideas. Highly recommend. You do not want to go to Versailles and not have a guide. This is such a busy place and to have a guide take you through the grounds and provide you with the history of the palace is well worth taking this trip. Marie-Antoinette's Trianon was amazing. A little oasis not too far from the Palace. The Palace itself was a Cinderella story on steroids. The opulence and decadence is beyond words. The grounds, fountains were breathtaking. Everything about this trip was amazing. 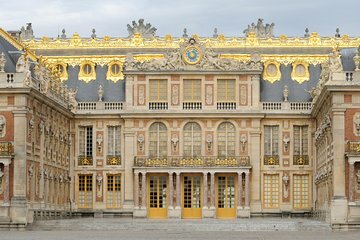 Versailles is about 25 to 30 minutes from Paris. This tour with Viator is done so well. You have a professional guide, who was amazing! She knew how to traverse the Palace, she took photos for us in the Hall of Mirrors and she knew her history. This was an exceptional tour and using Viator made it so great! This is an excellent tour especially for a person with a time limit. You take a van to the Petit Trianon and have time to tour the building and the gardens on your own. You do need to walk down the driveway and back so people with mobility issues would find the time constraint a problem. You then reboard your van and go to Versailles proper and tour with a guide. There is a small time at the end to see the gardens etc. I would recommend that people with the time and ability to tour on your own do so but this is a wonderful option for those for whom figuring out the train schedules and tour schedules on their own would be problematic. My fiancé and I had the best time not only seeing the beautiful Palace of Versailles but also the Trianon. It was an amazing day, mostly because Maeva was WONDERFUL!! She was funny, sweet and extremely knowledgable about Versailles and its history. The tour was a perfect amount of time and the meeting spot in Paris was easy to find. Highly recommend this tour! It was a small group so very easy to listen to our guide and follow the group. 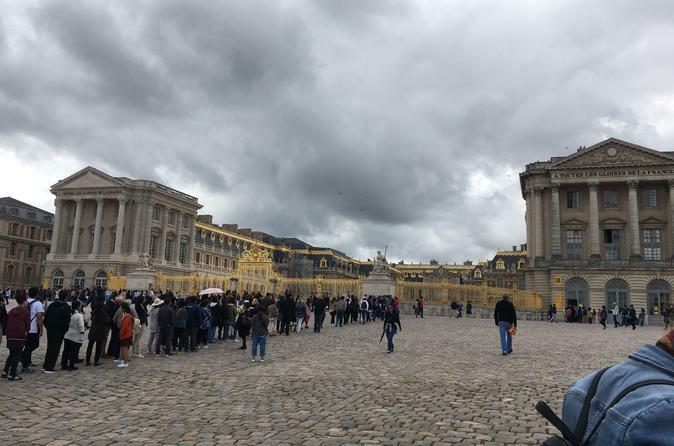 Big crowds in Versailles can't be helped as it is an extremely popular tourist destination. It would be great if Grand Trianon is also included in the tour. Highly recommend! The only thing I might change is the amount of time in the gardens. We were ready to leave about an hour earlier, but the tour itself really was fantastic! Though the palace of Versailles is little far from the Paris , this trip is strongly recommended . The paint sings and palace architecture is amazing. Hall of mirrors is worth your money . We were there in Paris for two days and could visit palace and Eiffel Tower . We were a group of 3 women. We loved the tour but there was not much time to see the Trianon. By the time we got back there it was time to catch the bus again. The guide was good but I think she took all of her information from the Versailles series. She was distracted. I got the impression she had just broken up with her boyfriend. So our guide was full of positive energy but seemingly not as much French History. It was more of a monologue of her life, sort of a one woman show. We had a bus trip out of Paris - very little information delivered - missing a great opportunity as we drove past a number of monuments. Versailles was pretty crowded - definitely avoid Saturday's if you can. But besides the occasional Buzzfeed like factoids there was no history, no story and no real value add of a tour guide. The priority access helped but I left knowing almost nothing more than quick glimpses in the palace provided. Having just been on a different tour that AM with a great tour guide the difference was all too apparent. This guide talked more and delivered far less. We also were pretty rushed - not sure how much of that is normal which they should plan for and how much was unique. This was an excellent tour! Our tour guide, Maeve, was delightful and well informed. She toured us through the Palace and the Trianon at the perfect pace and answered all of our questions throughout. Her cheerful personality made the tour a wonderful experience!